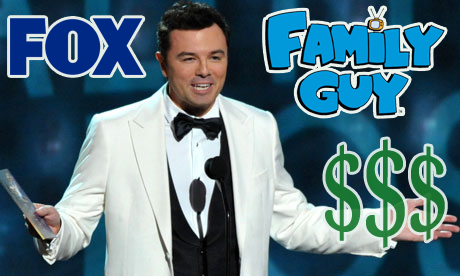 Seth MacFarlane – Creator of Family Guy and American Dad taking his ratings all the way to the bank. 4 out of the top 10-rated shows were animation <– That’s what I wrote last Monday. This week is no different, except the top-rated show on a Sunday prime-time slot is Family Guy – which in case you don’t know, its an animated comedy for adults. Is this all a big Coincidence? Or do people actually like funny animated shows? Well, numbers don’t lie. Hopefully other networks, especially Spanish-language, get hip to this trend that has been trending for years. Just ask The Simpsons – they’ve been on the air for 25 years and still killing on the ratings!